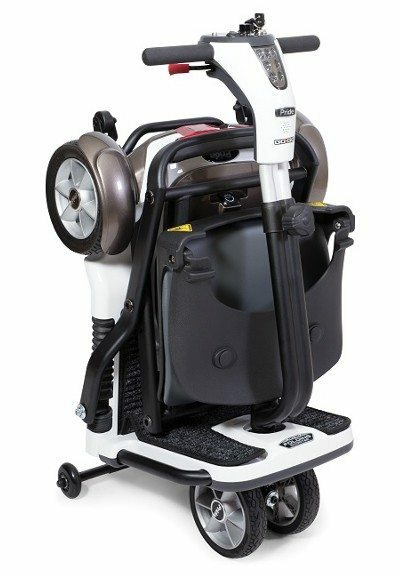 The Pride GoGo Folding Scooter is the one of the most portable mobility scooters available today. 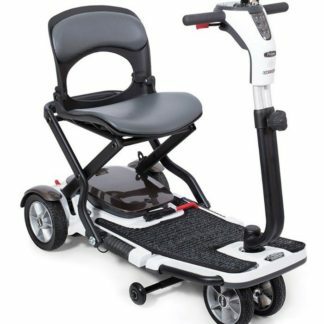 The Pride GoGo Folding Scooter is only 51.1 pounds without batteries and folds easily making airline travel easy or your everyday life much easier. 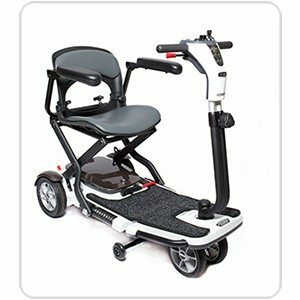 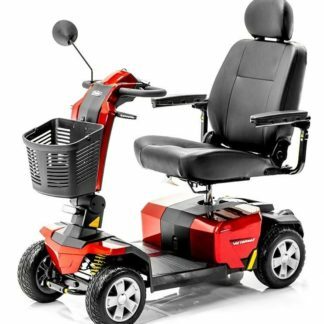 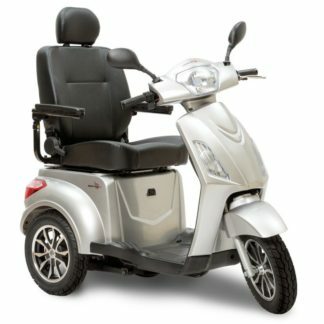 The Pride GoGo Folding Scooter has become increasingly popular due to its 4 point seating system that offers greater stability and its incredibly simple ability to fold into a small compact space. 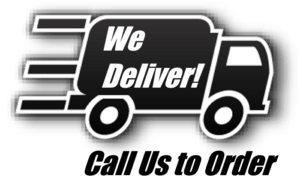 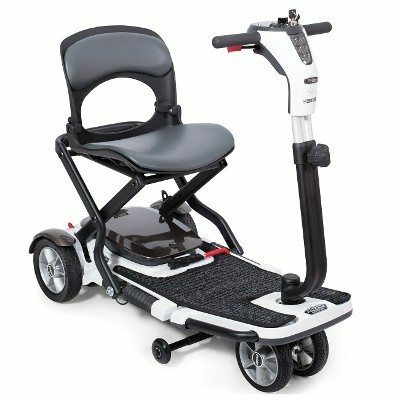 Armrest are now available for the Pride GoGo Folding Scooter, simply fill out the order form below and select the armrest option. The Pride GoGo Folding travel mobility scooter easily folds into one piece weighing only 60 pounds with flat free tires. 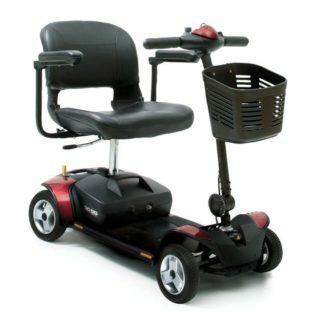 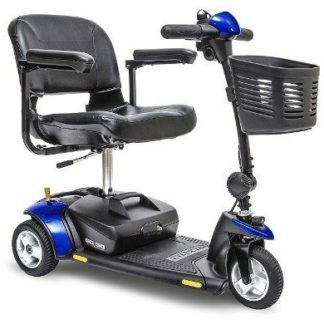 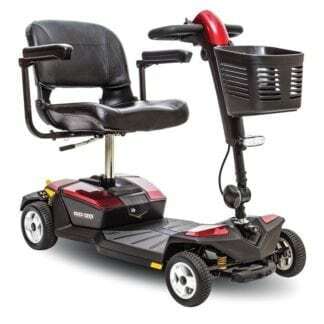 The GoGo Folding scooter is extreemly stable and rigid with a adjustable height tiller allowing added comfort to the user. 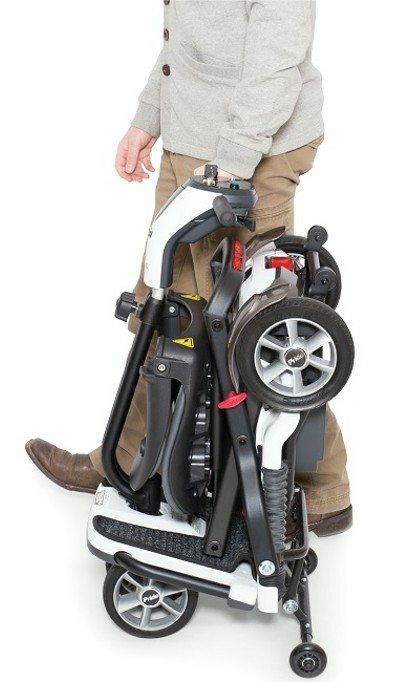 The GoGo Folding Scooter is easy to handle when folded and can be treated like luggage by simply puling it behind you or beside you. 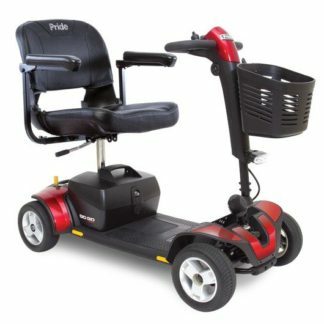 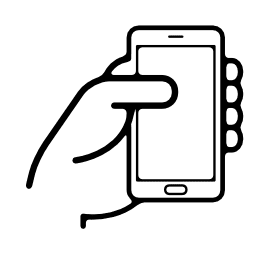 Award winning design for both portability and ease of use. The GoGo Folding Scooter folds easily into a compact space making it highly portable and is airline and cruse ship approved. 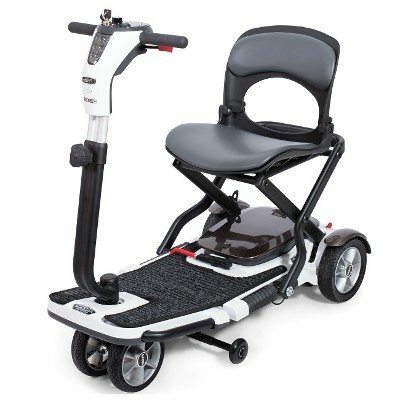 Ready for Pride GoGo Folding Scooter and easily folded, the 4-wheel Go-Go® Folding Scooter is perfect for the active lifestyle.